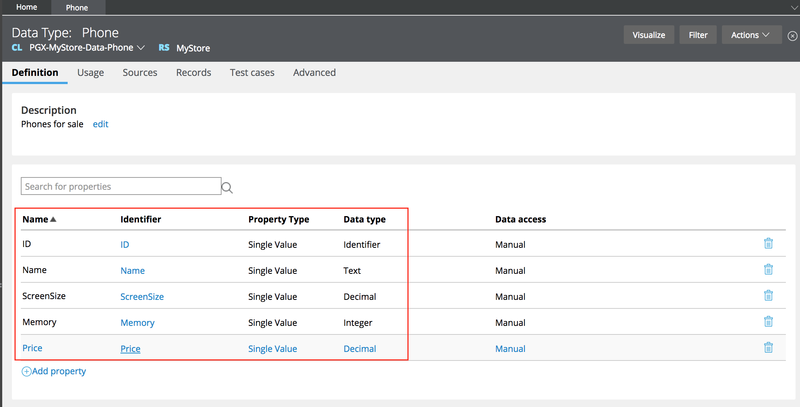 A Data Transform can be used in Pega 7.1.9 to sort list structures such as a Page List. In this example, a Data Transform is used to sort Pega 7 dropdown options that are backed by a List-type Data Page. In addition, another Data Transform is shown that sorts the Page List based on two properties. 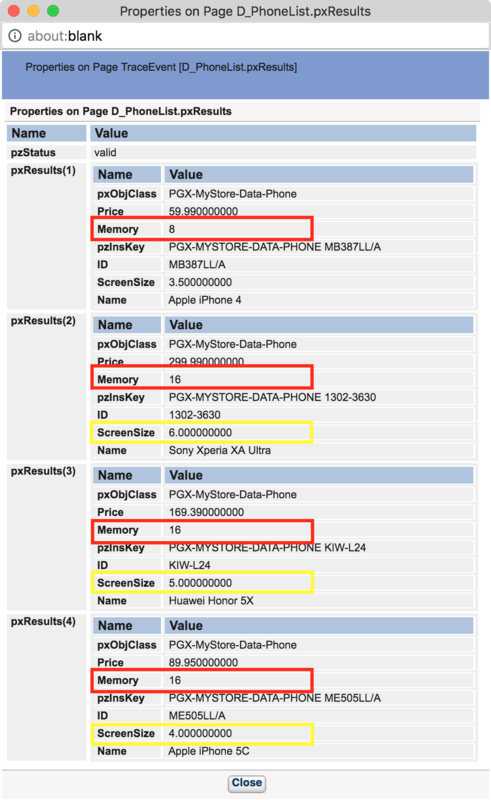 Here, a Data Type named PGX-MyStore-Data-Phone was created using the Data Explorer. The Records tab shows the 13 instances that have been created for this Data Type. The Sources tab shows the 2 Data Pages that have been created automatically. The data page D_PhoneList is of type List and can be used to retrieve all instances of the PGX-MyStore-Data-Phone Data Type. 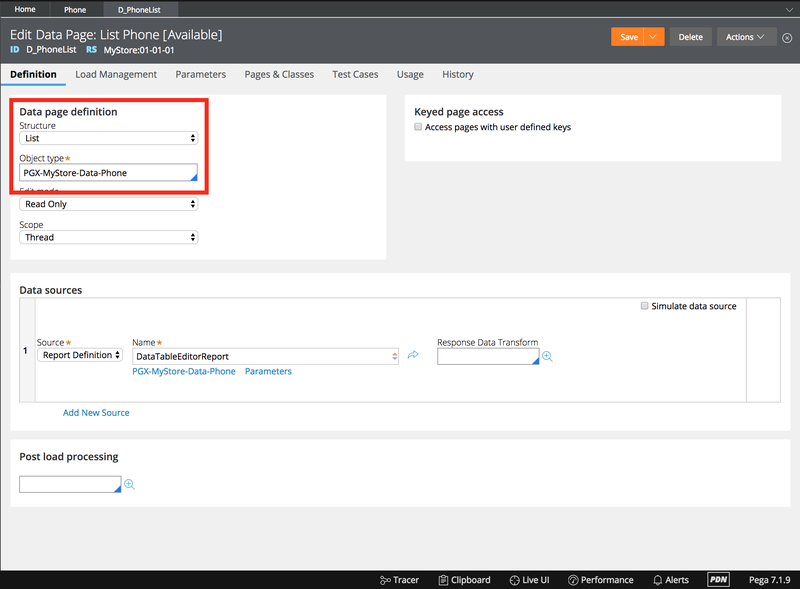 Use Actions > Run to run the data page and view its XML representation. 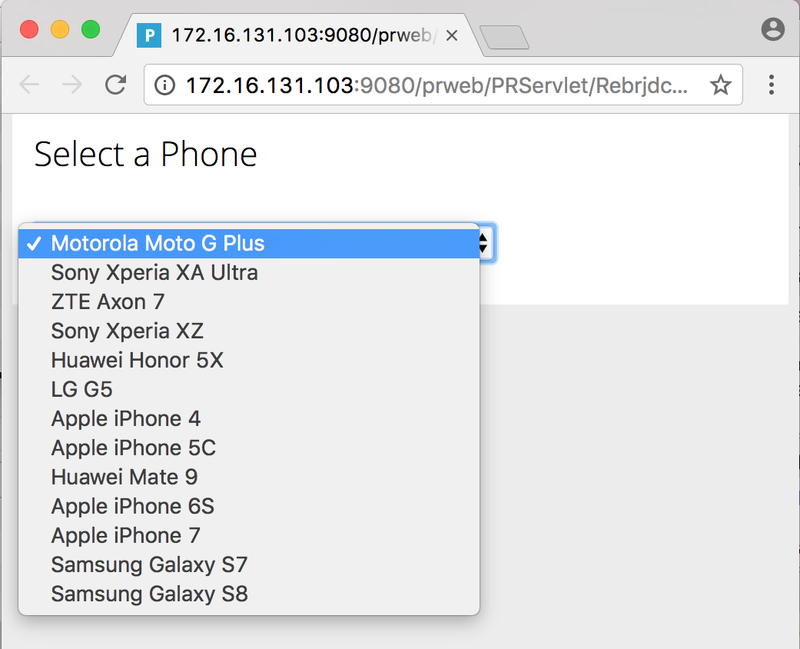 There will be a node called pxResults that contains the list of phones. 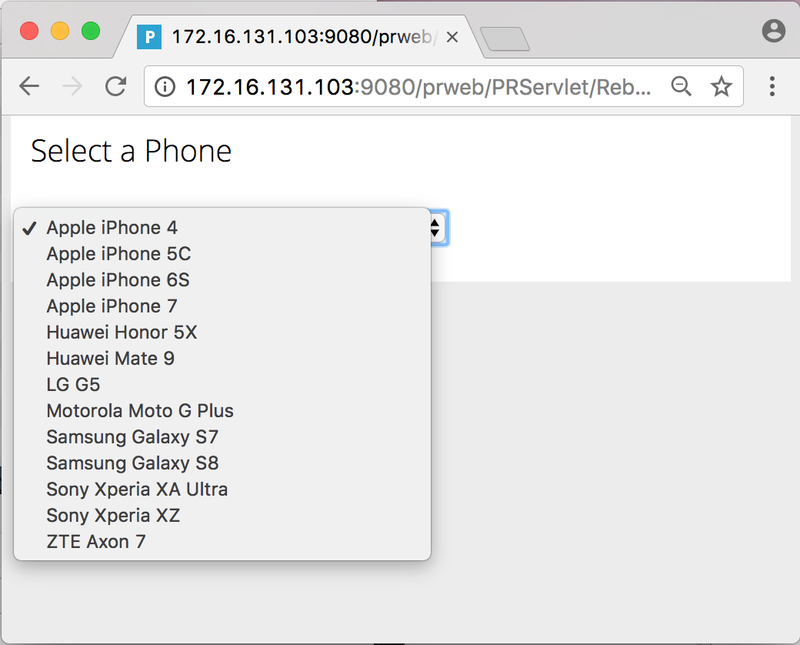 A form was created to show a dropdown that allows to select a phone based on the D_PhoneList Data Page. Clicking on the dropdown shows the options provided by the Data Page. 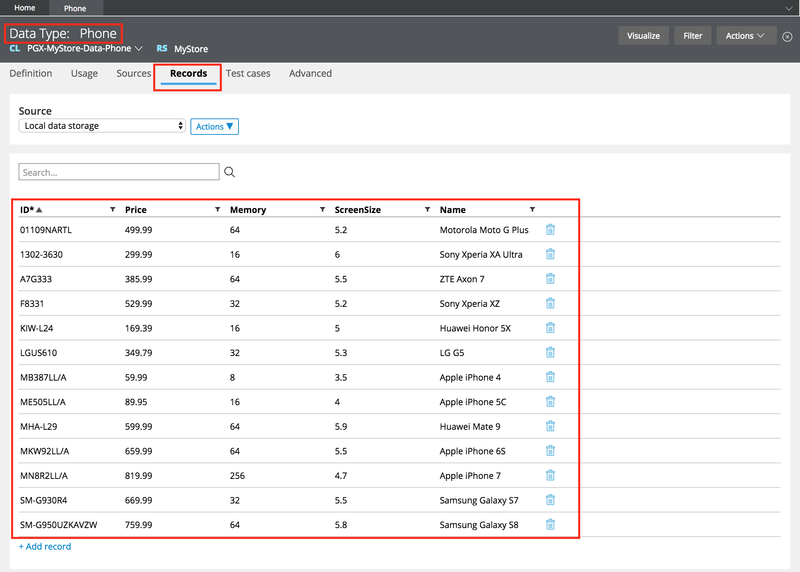 Note that the order of the items is the same as shown on Data Type > Phone > Records, i.e. the list is sorted ascending by the ID property of PGX-MyStore-Data-Phone. 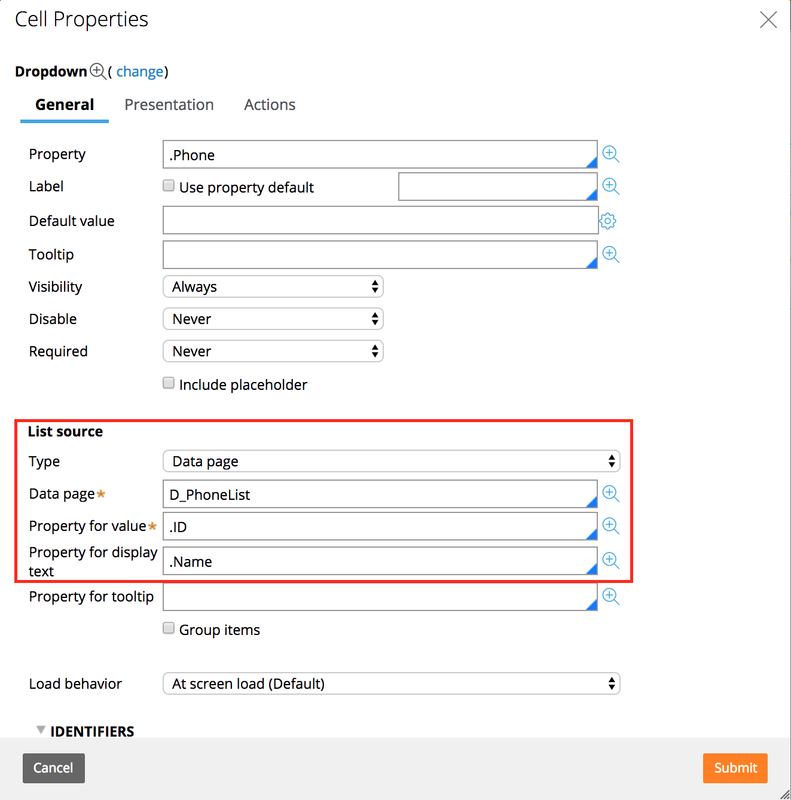 The MyPhoneStore HTML rule uses the <pega:include> tag to include the section rule by name. 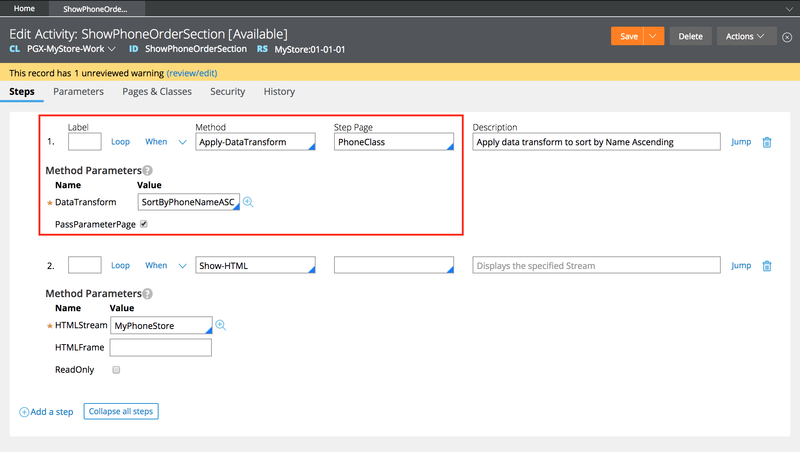 The ShowPhoneOrderSection Activity rule contains one step that uses the Show-HTML method to render and display the HTML rule. When running the Activity using Actions > Run, it will display the HTML page shown at the beginning of this section. On the Definition tab, the first and only step uses the Sort method. The gear icon is used to configure the Sort method. Clicking on it opens a new layer. Here, the Sort method is configured to sort the list of phones by the Name property of PGX-MyStore-Data-Phone in ascending order. The ShowPhoneOrderSection Activity was modified and a step was added before displaying the HTML page. The first step in the modified Activity uses the Apply-DataTransform method to use the SortByPhoneNameASC Data Transform for sorting the Data Page. The step page is referring to a page that is defined on Pages & Classes. This entry is needed because the Data Transform’s applies-to class is different than that of the Activity, which is PGX-MyStore-Work. When the Activity is run again, the options in the phone dropdown control are now sorted by Name in ascending order. 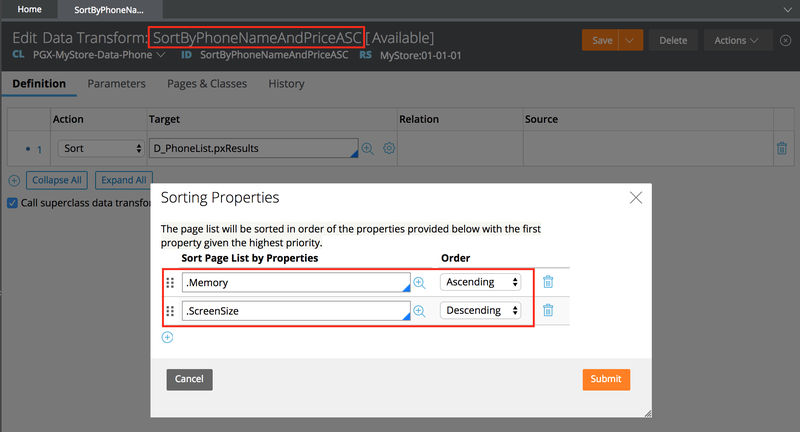 Another Data Transform was created to sort the phone list by Memory (ASC) first and then by ScreenSize (DESC). The configuration is shown below. If two or more phones have the same amount of memory, they will be sorted by screen size in descending order, i.e. the one with the largest screen size will be on top in that subset of the list. The Data Transform can be run by using Actions > Run. In the Run Data Transform dialog, click on the Trace button first and the on the Run button. In the Tracer, where the event type is Action End click on the cell that lists the Data Page, here D_PhoneList, to view the Data Page after it has been sorted by the Data Transform. The dialog lists the items of D_PhoneList.pxResults. The phones are sorted in ascending order by memory first. In addition, the phones with 16GB of memory are sorted in descending order by screen size. You made my task easy, I am really thankful to you very much for clarifying my doubts, I also request you to do an article like this on Repeating Grid Layout. I am happy I posted something useful 🙂 Yes, repeating grid would be a good topic. I was planning to post an article on it. Stay tuned! Would you please illustrate on Load-DataPage, Call-Async-Activity and Connect-Wait methods? Hi, I hope to have some time at the end of this year to look into it! I am not finding the HTML and Activity files mentioned as per the blog when i am trying to recreate a similar scenario. How to access these HTML and Activity files?